Amy Poehler of Parks and Recreation and her husband, actor Will Arnett, attend the NBC Universal and Focus Features' Golden Globes after party. 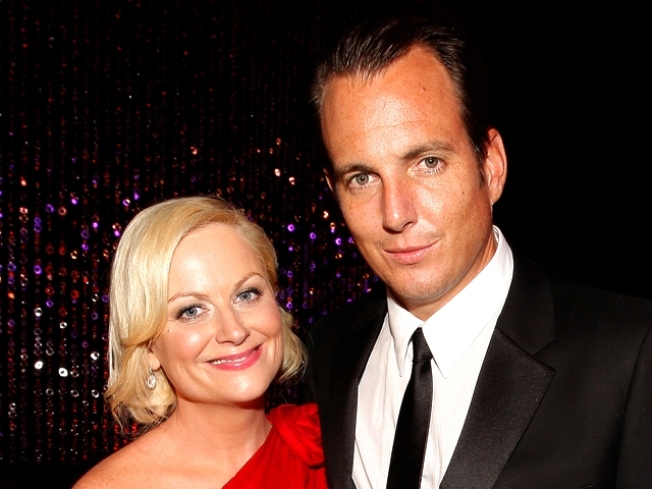 Will Arnett is reuniting with his "Arrested Development" executive producer, according to The Hollywood Reporter. The trade paper reported that the funnyman and Mitch Hurwitz, who created the canceled three-season cult classic, are working on a new single-camera project expected to earn a pilot order from Fox. Jim Vallely, Hurwitz's co-executive producer on "Arrested Development" and last season's short-lived "Sit Down Shut Up," is also on board for the potential half-hour show, which will reportedly feature Will as "a rich Beverly Hills jacka**" who courts a "charitable, tree-hugging woman." However, a green light for the new show may put the breaks on the planned "Arrested Development" movie, which continues to languish in pre-production as other projects – such as "Sit Down Shut Up" – have stolen its players' attentions. According to Variety, Hurwitz and Vallely are still penning the long-awaited film's script. In recent months, series stars Will and Michael Cera have each hinted that the movie could shoot this year, but no firm dates have been set. Following the show's 2006 cancelation, a number of its stars have become in-demand presences in both film and television, making the availability of the cast (which also includes Jason Bateman, Portia de Rossi and David Cross, among others) a scheduling puzzle.